It was one of those emergency repair jobs that sort of left the city's maintenance personnel scratching their heads. Rehoboth Beach police received a report around 5:30 p.m. Saturday that two people tripped in a hole on the boardwalk at Dolle's. An ambulance was dispatched for a woman complaining of shoulder pain, but did not take her to the hospital. The city maintenance crew was requested to address the problem. They discovered a spot where the sand dune meets the boardwalk, where sand was probably washed away in the recent rain. They covered it with a board and marked it with some traffic cones. More than a dozen plumbing and utility vehicles took over parking in the second block of Rehoboth Avenue last Monday while performing an emergency sewer repair in front of Juke Box Grill. According to a photo caption in Friday's Cape Gazette, Greg Ferrese, Rehoboth Beach city manager, said at the time of the Streetscape project the building was unoccupied and was not hooked to the city's sewer main. But the paper added that Ferrese said he was not sure how the sewer got blocked. A co-owner of Juke Box Grill told the Gazette that the restaurant's sewer line had never been connected to the city's sewer main. He said his restaurant was closed for four straight days while repairs were done. 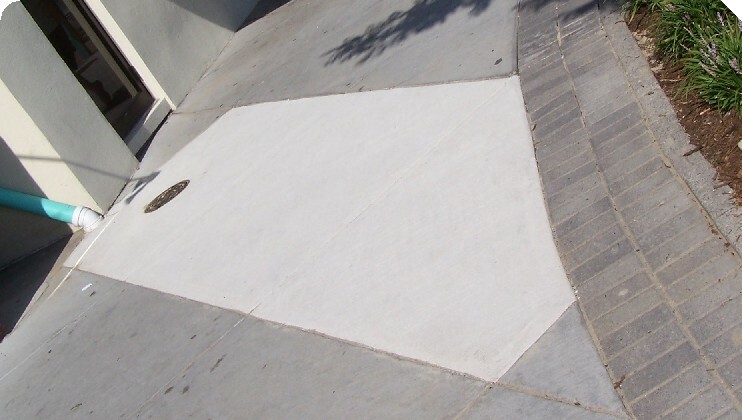 The city paid for the repairs, and the sidewalk patch (shown below), looks almost as good as new. A 30-year-old male bicyclist was involved in a crash Sunday evening on northbound Route 1 in front of Ruby Tuesdays outside Rehoboth. Tim Cooper, paramedic spokesman and Special Operations Coordinator, said the man was flown to Peninsula Regional Medical Center with a possible head injury, as he had experienced a momentary loss of consciousness. 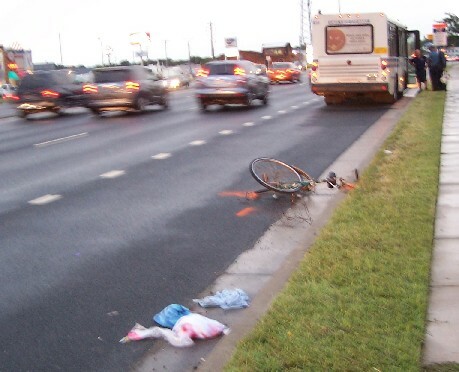 Cooper said it was unclear if the bike hit the bus, or if the bus contacted the bike first. He added that bicycle accidents appear to be down this summer, although he had no statistics yet available. The slow lane was closed for about 30 minutes. Rehoboth Beach police received a noise complaint Wednesday about the B-Sharp Reggae musician who has entertained visitors on the Atlantic Sands patio for the past four summers. When police returned for a second time around 4:30 p.m., he said he was asked by the hotel to leave. He paused below for a photo as he packed his gear into his van. He said this was the first time he received a noise complaint here, and was going to contact the Coast Press. This picture was taken as the Motortanker Meltemi passed Rehoboth Beach around 7 p.m. Saturday. The 274-meter Greek-flagged tanker's Automatic Identification System indicated that it is headed to Philadelphia. As of early Monday, it remains anchored in the Harbor of Refuge, north of Cape Henlopen. YOUR MOPED OR VESPA COULD BE TOWED IF PARKED ON PRIVATE PROPERTY! 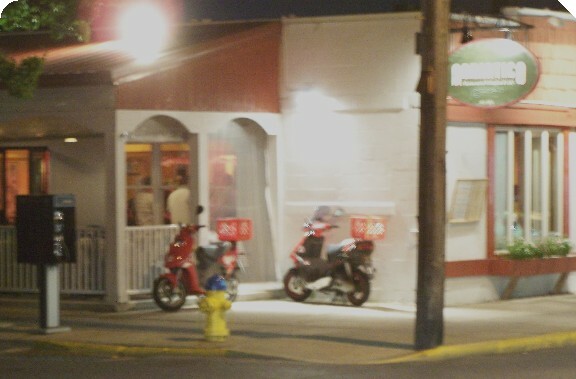 The manager of Adriatico Ristorante & Cafe called Rehoboth Beach police around 9:50 p.m. Friday to report mopeds that had been parked on the sidewalk. Police investigating told him they were not parked on city property, and he would have to call a towing company if he wanted them removed. Police gave him the number for one of the city's towing contractors. But since he was almost done serving dinners for the evening, he said he opted to leave a warning note attached to the mopeds. 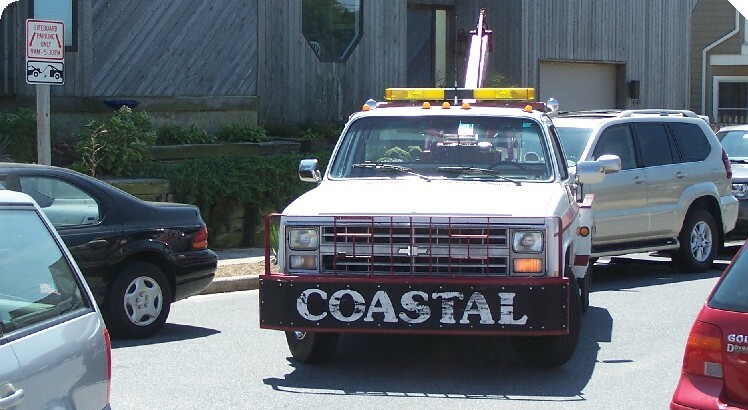 Coastal Towing removed this Lexus with Maryland tags. It was reported parked in the reserved lifeguard parking on Queen Street around 1:35 p.m. Saturday. 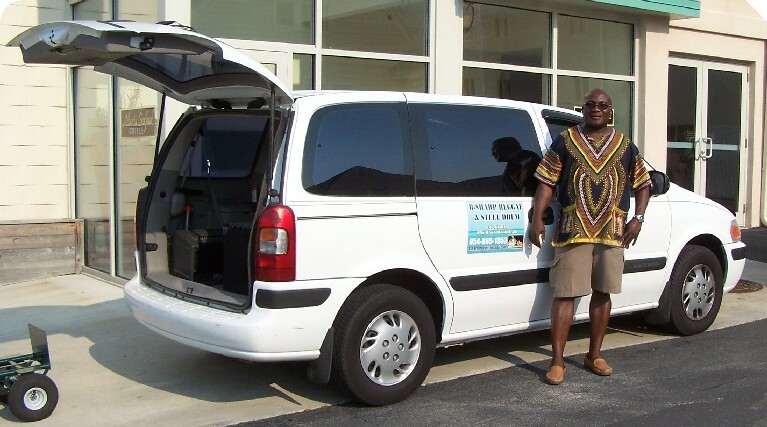 It displayed a Rehoboth Beach parking permit from the rearview mirror. The reserved lifeguard parking area on Queen Street lacks dividing lines between the reserved spaces, and at least one resident said it is unclear what area is covered by the sign. What better way for Boy Scouts to learn about water safety than to spend the morning with beach lifeguards? 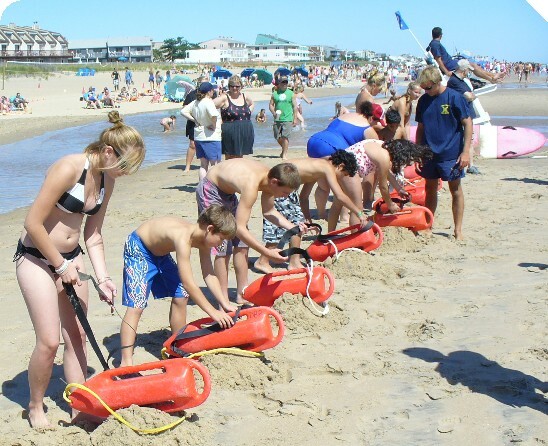 This weekend was the Sixth Annual Beach Safety Day at the Dewey Beach Patrol for Boy Scout Troop 1083 from Silver Spring, Maryland. The scouting event was founded by Susan Johnson of Wheaton, Maryland. Her 24-year-old son, Michael, drowned on August 23, 1998 in Rehoboth Beach after he was caught in a rip current. 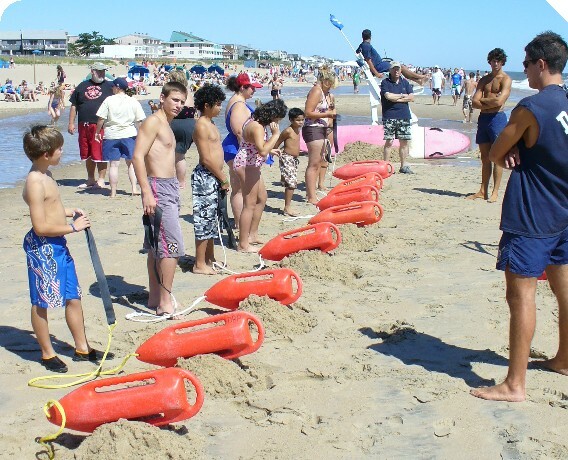 Under the guidance of Dewey Beach lifeguards, the Scouts received hands-on water safety training and engaged in simulated water rescues, learned about rip currents, water hazards and first aid. Earlier Saturday morning, Scouts handed out refreshments during the 5th Books and Coffee 10k/5k run walk at the Rusty Rudder Plaza. 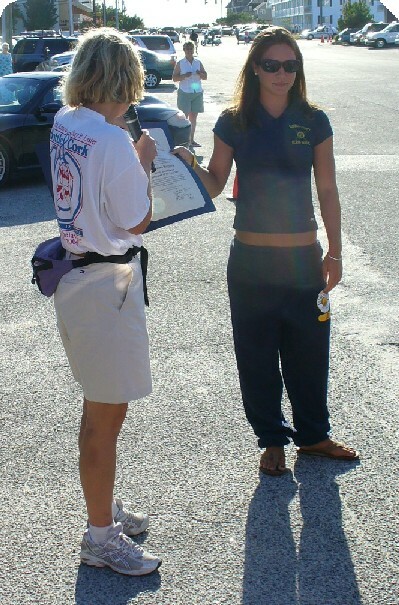 The Dewey Beach Patrol competition team was on hand, and lifeguard of the year was recognized (below). Local politicians and hundreds of guests packed the Camp Rehoboth patio early Saturday evening for a groundbreaking for the organization's new community center. Saturday evening was cool with low humidity. Rehoboth Beach goers with good vision could easily see all the way to Cape Henlopen. 2:15 a.m. Monday: BREAKING NEWS: DOUBLE STABBING IN O.C. Ocean City police are investigating a double stabbing in the area of Finnegan's Pub & Eatery at 4801 Coastal Highway. One patient has two serious stab wounds to the chest. Others are injured, but not as seriously. Police are taking witness statements now. Two men and a woman are in custody.